So what could’ve made the other 70 percent stick around? Scheltgen suggests that having an excellent CRM is key to increasing your client retention and your bottom line. 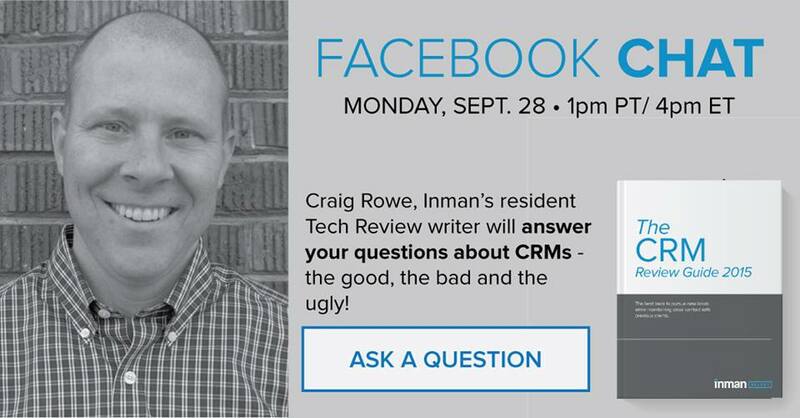 The question then becomes, “which CRM do I use?” Our tech expert, Craig C. Rowe, has written an insightful guide on CRMs, such as Xcelerate, GoConnect and BoomTown, and today at 1 p.m. PDT/4 p.m. EDT, he’ll be answering your questions about this essential tool. Add your questions here, and come back to the post later in the day to see his answers.